"Threads helps us keep performance top-of-mind all year, not just once per year at review time." I love that Threads is ongoing, not just an annual process. The ability to leave feedback anytime throughout the year for peers and for managers is very helpful to our organization. I also love that Threads is able to measure our employees' work performance and cultural fit, as each are very important within our company culture. Threads helps us maintain performance documentation and reviews all in one place, when before it was separate and hard to locate. Threads also helps with the recency effect that can happen during review season. The feedback feature is such a great way to provide timely feedback and track employee performance throughout the year. It is super easy to use, which is very important in order to gain acceptance of employees and managers during the implementation phase! Also, the ability to rate employees on our organization's core values is a great way to take it beyond just evaluating based on job requirements. Would like to see better goal tracking capabilities within the review template. Have already made a request and understand this will be a part of future updates. Better performance management- Our managers are now able to keep better track of their team members' performance throughout the year, which should make a huge difference come annual review time later this year. It is virtually impossible to remember what someone did 11 months ago, so the real-time feedback collected during the entire review cycle is amazing! Improved morale- Employees can easily provide feedback for one another at any time, which is a great morale booster! I like that Threads keeps track of employee progress throughout the year (feedback) so I don't have to remember it all at review time. Also, each annual review is kept so I can go back and see if employees are improving or staying the same. The feedback feature is extremely helpful in keeping track of employee progress throughout the year. Even though the people at Threads are very helpful and try and make the on-boarding process as smooth as possible, it's still very time consuming. There's really not much anyone can do about that. It took me awhile to complete the job descriptions, Core Values and Results for each description, but once that was finished it made the whole review process go much smoother. The time investment is worth it in the end. It's worth the time it takes to set it up. Before, we didn't like any of the review templates we came across and settled every year on a different one. We'd take the time to research and try and find a better one, but it never happened. With Threads, we basically create our own template and don't have to spend the time each year figuring out what we want to evaluate on. In addition, we struggled with evaluating the entire year rather than the last few months that we could remember. With the feed back section we can evaluate and document throughout the entire year. Availability to everyone in the company. This software levels the playing field between executives to mid-management to the guys on the dock. By using the Feedback option, every employee has the opportunity to give feedback to any other employee, including management. We were concerned we might see a lot of negative comments, but to date our employees are taking the program seriously. Must have an email to use. Because many of our employees are in production and do not have company emails, we used an inexpensive web domain service and created emails specifically for this purpose. I recommend you do your due diligence and compare Threads Culture to other options available to you. 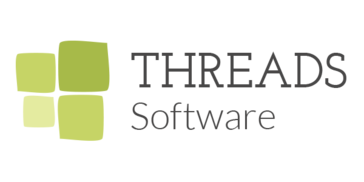 not only is the software a great tool, but the team at Threads is very easy to work with. We had been discussing how to fully integrate our core values into the every day for each employee. Now their reviews are rated not only on their job performance, but how they behave as they perform their jobs. It's a great tool to drive home our values. What I like about Threads Culture is its unique approach to performance evaluations and culture reinforcement with a special emphasis on core values and results based on each individual contributing to the effectiveness of the organization. Threads' approach alligns perfectly with my belief that the most effective way to improve any organization is by improving the organization's culture. I appreciate how Threads' evaluates employees on core values and results seperately rather than averaging both scores together. My personal favorite feature is its "Feedback" module allowing for 360 degree feedback company wide -- giving all employees a voice on how their co-workers perform at work. No negative comments. Threads' takes pride in continuously improving its solution according to customer feedback. - A lack of an evident, portrayal of shared core values in all of our team members, and thus lack of a commonly agreed upon shared company culture. - Lack of an effective way to evaluate the contribution of individual team members. "Threads is Great for Small companies"
I think it is important for employees to be able to provide feedback on each other. It becomes helpful to the manager when it is time for their review. But it also helps provide real-time feedback and allows for problems to be fixed sooner than later, if used appropriately. I don't really like how the review is based off of the job description; mostly because almost all of our employees have a different "job description." So rather than updating one job description and it applies to 10, 15, 20 people... I have to update over 40 job descriptions for 50 employees. It's not Threads fault that we have so many different job descriptions, so this wouldn't even be a thought of mine if our job descriptions applied to multiple people. Easy to use and the support is like non other. It has created consistency with most annual reviews. There are still some managers that refuse to use it, but for those that do, it's nice having a similar format for 75% of our employees. Threads continues to get features upgrades that are helpful. It's easy to leave comments about our own work, for our supervisors, or comments for other employees. It's been helpful in using it for ranking people we are considering hiring as well. Inability to toggle EASILY between admin role and user role when it comes to my own review. I'd like to be able to temporarily turn off admin role and then turn it back on myself. Or simply as it relates to my own review to state I'm acting as a user and not as an admin. They do allow me to turn it off, but I'd have to involve other people to turn it back on. We're too busy for that. I've recommended it on SHRM HR-related bulletin boards when others have asked for review software recommendations. We have a more streamlined approach to bi-annual reviews now. We are able to see how everyone scores/ranks next to each other. "Great product, but rarely use"
Great to be able to give feedback good and bad about an employee. I like that there are photos so I can verify who I'm talking to. When we first started using it at my company, the employee were separate into salaried and hourly, and only the salaried had Threads accounts. I found myself wanting to enter comments about an employee, but they were hourly so I couldn't. Also, I find that I don't interact much with people outside my department, so I don't have much to comment about. You need to promote the app so that people remember to use it. Also, in a manufacturing facility it's hard to get users on the computers to use the product. Also, I have some ideas for this product, but not sure where to submit them. I don't think I''m seeing any benefits or solving any problems and find that I don't ever think to use the product even if a situation arose that warranted a comment. I'm not in the habit of using it and it's not promoted much at my company. "Two Thumbs up for Threads"
At CNS, our purpose is to improve rural broadband. We've always been focused on that but, had never had it so narrowly defined as we were able to do with the use of Threads Culture platform. Our structure is non traditional with employees throughout MN, ND, and MI. Some folks report to our HQ, their home, car, hotel or remote office. In order for us to all stay connected and maintain our purpose, it takes diligent work. We're able to create, define, and communicate our core values effectively with Threads. Our core values are at the center of everything we do now including our interviews, meetings, emails, branding and, now, our annual reviews. The platform is simple to use and you really can't beat the good ol' Midwest Customer Service. The crew at Threads genuinely cares about incorporating the sometimes 'hidden' values and bringing them to the forefront. And, like us, they like to have fun with their work. Ben, Kim, Teresa and Sean are all top notch (as I'm sure are others but, that's who I work with most often). If you want your folks to be inspired by your purpose day in and out start thinking about your culture, define it, and roll it out with an engaging presentation from Sean with Threads. Have yet to run into anything the folks at Threads won't assist with or update right away. We've been able to review folks based on how intertwined with our culture and core values instead of just 'technical' pieces of their work. We've made a more well-rounded review process. Our company has been using Threads for our review portal for a year now. As a manager responsible for multiple team member reviews, Threads allows me to be able to rely on other team members feedback to make the most of our annual reviews. This portal allows team members to either give a shout out for something that one of my team has done or be able to give confidential, constructive criticism which helps me mentor if something needs tending to. At review time, I am able to reflect back on those comments to be able to conduct a meaningful review. I also enjoy being able to share those positive feedback comments to my direct team members every Friday when Threads releases them to me. It is uplifting for all involved. Other than getting to know a new system, I'm not seeing any negative. The portal allows confidentiality where it is needed and alerts a direct manager and our HR administrator of any issues sooner than later. Give it a try....the benefits of having ALL team members able to weigh in and give confidential feedback helps managers access how things are going. Threads allows comments to be made as they happen, rather than waiting or trying to remember at review time. One of the goals that my team adopted was to make two Threads comments for ANY team member every month. They have seen the benefit - especially when I am able to release the positive comments that have been made about them. "Threads is a superior tool to support your company's efforts in performance management." The philosophical basis - based on a healthy interactive culture - is compatible with our ideals. The ease of use and the ability to tailor the level of sophistication. The people that support its use. It takes work! It rises to our level of engagement, or sinks if we don't continually refresh, promote, and revisit out objectives. To be a bit clearer, Threads itself is not complex or difficult. Performance management demands diligence and attention. It's a super tool. The better your up front planning, the better the implementation will be. Plan to designate time for regular administration. Ask questions. Set goals for your use of Threads and make a Threads Performance score part of your thinking: it is a 'living' system that needs to adjust as your organization changes. We are continually improving our skills in performance management, getting more clear every year on how to better communicate with, and engage, our people. We are evolving to a performance-based compensation environment and Threads accommodates that very well. Benefits include the introduction and maintenance of continually improving performance coaching, keeps alive the values of our culture, and facilitates goal setting. "This tool is exactly what we wanted/needed. It was like they were the angel on our shoulder." Being able to measure your employees in both areas, results and values. They are not averaged and they shouldn't be. This looks at how the person helps out the whole, all organizations are teams this tool helps build your team. Comments and the weekly report out is amazing, so simple but so effective to keep key individuals in the loop. Cool part is a couple of things I had slight issues with they are working on correcting so they will no longer be issues. (by the time you read this it might be changed already) Example, one of the items was how documents could be stored for employees, like a virtual employee folder. HR, manager and employee can get to it at any time, from any computer. I wanted different restrictions on who could upload and delete, that is being updated. There is no commitment, just do it you will see it has more to offer than just what you can find searching their website. We are solving the problems of people producing results at the expense of company values. It is telling us who is actually producing for the company. in both results and building the team. "Strengthening Team Culture with Proven Review Software and Employee Engagement "
Threads Culture offers a solid product with extremely helpful customer service. The software is very simple to use, and the customer support reps respond to my questions almost immediately! The service is also very personalized, and they are open to thoughts and suggestions. You can tell they place a true value on their customers. The software has a unique way of incorporating core values into the review process. My team has seen a sharp increase in alignment with the companies values as a result of Threads Culture. We never realized how much we could improve our team environments by including this element during the review process. Threads Culture is extremely valuable, and our company would highly recommend taking the time to learn the benefits of utilizing this software. The software develops and updates with new features frequently. The request feedback feature will be very beneficial for our organization, but some managers do find it difficult at times to stay on-top of new and upcoming releases. We utilize Threads Culture to incorporate our core values with our review process. Our team members have really appreciated this because it rewards individuals who contribute to positive work environment, not just employees who focus only on completing their responsibilities. The request feedback feature is helping us to stay on top of check-ins and reviews! The ease of the system and the super fast customer service when ever I need assistance. No negative comments. Threads continues to make improvements. I highly recommend this product. Threads does more then just performance reviews. It allows you to continually update performance more then one time a year. Being able to log the good and bad throughout the year. This tool allows employees to make changes and improve in their roles, as Managers can constantly track how they are doing and share this with their employees. Keeping the line of communication consistant and open with employees is key and Threads helps make this easier to do. We had been looking into all different types of Performance Management tools and really liked how Threads stood out. Threads was more about culture and making sure all our employees not only did their job but also worked well with others in the company. I really like the feedback tool. Being able to add comments about anyone in the company has really benefited us for when its time to sit down and do a review for Managers. "Great Platform For Performance + Culture Reviews"
I really like the ability of combining culture and job performance when evaluating a team member. All other platforms I looked at only focused on job performance. They were missing half the picture! Threads Culture does a great job of combining the two. I would like for the ability of other team members to view positive feedback that was given to them. People like to be recognized for a job well done. If you want a platform that combines job performance and culture performance, this is the platform for you. "Threads is where SIMPLICITY AND RESULTS meet!" I love the ease of use of this software. It is extremely user friendly and immediate support is always available! I also love the Rating Scale that is provided to ensure fairness in the scoring process. The science behind this is genius! The only thing that I can say that I dislike about the software is that there are certain things that you can't delete, i.e., job descriptions/titles. I would like to delete them if desired. Threads streamlines our performance evaluations process by allowing us to turn a manual procedure into a time-saving electronic process that not only save time but actually uses metrics and tools to effectively measure how an employee is performing. This software helps with accuracy and is fail-proof! It's very easy for managers and employees to use and has enabled us to have it all electronic, providing easy access for future reference. Our CEO loves the fact that he can get instant information on individuals, departments or the entire company related to performance. We also love that this software ties in values as well as results. And the feedback tool is fantastic. Our employees have really embraced this. One thing we'd like to be able to do is print the org chart. .
We needed a simple solution to getting managers to review employees without bias and also have the data saved in a way we could access and analyze at any time- this does that. "Great client service and product"
The layout for printing the reviews is awkward but in general, the product is designed to be for electronic use, not paper. It significantly reduces the guess work of employee reviews. Makes it more easier to compare employees in the same positions as well as determine what each person needs to work on. Good tools for seeing where everyone in the company is at with respect to the mission and job descriptions. Performance Review Process. The benefits have been greater documented communications between not only supervisor and their direct reports but between co-workers as well. This is finally beginning to lead to solid reviews with real daily activities to stand behind and support them. The program at this point doesn't offer a Self Assessment Option for my team. I understand that it is being developed and will launch by end of 2018. However, they did helped us develop our self assessment. It's the only product on the market that will enhance how you communicate with your staff and how positively they experience your firm. We had a challenge with an employee that placed himself in a quadrant where they were not living our Brand and only sometimes productive. Prior to review time they worked with us to deliver a positive and supportive review and gave us suggestions to support this employee to either take ownership or decide they weren't a fit for our office culture. We learned so much as did the employee who is now embracing our culture and wanting to consistently live our brand (values) and be more productive. I like how easy it is to use and navigate threads. It is made simply so virtually anyone can use it. Also, I like how it ties values and results to give review scores. I disklike how you cannot change things without changing it globally. I have been working around threads pulling the full job description to create shorter quarterly reviews. In order to do that I had to make 2 job descriptions for each employee. 1 with their full annual review job description and one for the shorter quarterly reviews. We use threads to boost employee engagement by providing more regular feedback between the managers and their employees. feedback component is very helpful and the "visible" to recipient function is well received. it is a challenge to get people to engage more on the feedback. Also I wish it would allow for self-evaluation rather than the staff do it manually. The feedback feature is very easy to use. I have the ability to give feedback to any employee in the organization and can choose to make it visible to them. When it comes time to populate a review, I can easily access all of the feedback captured throughout the year. We started Threads with a pilot group (salaried) and I wish we would have started with ALL employees. Threads allows us to view culture alignment, throughout the organization. We can easily see where we excel and what our areas of opportunity are. The ability to incorporate meaningful performance reviews that are fully customizable and unique to your organization. The only thing I would like to see improved is the organizational chart display and functionality. He creation of job descriptions have been made a lot easier and the ability to complete performance evaluations in a timely manner. "Excellent Customer Service with a Wonderful Product"
The maneuverability and overall options are so easy to use. The system is set up for success. No other system that we have found offers the accountability and features that are available with this product. We use Threads Culture daily. We encourage use for the positive as well as negative and rely on this information for promotions and terminations. I like you can make your comments to another coworker visible. This way your coworker see they are being appreciated throughout the year and not just at review time. I wish I could see the comments left about me soon that once a year; especially if I need to correct a behavior. Allowing your employees to see feedback more than annual. That way if there is behavior that needs corrected, it is addressed throughout the year. People are feeling like they are being appreciated and their work is getting noticed. "Great and easy to manage"
I think this is better for a small business. we have solved the issue with having to create these reviews on our own with no structure. Now we have structure and it is the same scoring system for everyone. We have the same questions for everyone value wise which is great as well. We can also compare everyone's scores which is an improvement for us. I like the automatic reminders when reviews are due and the fact that you can leave feedback on co-workers that don't report directly to you. It's a good way to record positive feedback on co-worker performance throughout the year. Love the responsiveness of customer service. There are a lot of updates so it can be challenging to keep managers abreast of changes. Great way to encourage documenting performance feedback both positive and opportunistic. "Special Request / Org. Chart Report "
Top notch customer service; immediate action taken to help solve the issue at hand, in addition to insightful suggestions to improve our organizations usage and experience with Threads. There isn't anything to dislike in my humble opinion. For our organization in particular, Threads has been extremely helpful with the entire review process for 200 employees. Everything is now highly efficient, accurate and streamlined. "Terrific Software and Customer Service!" I like the fact that you can have a support team in Threads that is highly responsive in your needs. They answer your questions and concerns quickly. I would like a place to click on for video tutorials on the landing page for users to provide any quick answers and FAQs in one spot. That would come in handy for those who are new to the software and/or learning it. I like the giving of feedback through the system for employee engagement and how it provides reminder of due dates and houses the performance reviews verses paper. Easy to gather employee feedback. Threads helps make employees conscious of their interactions with coworkers. Culture improvement. It's been a great tool to tie culture in with individual performance reviews. Showing employees and candidates that culture fit is as important as results. The definitions for the rating scale seem to help managers making evaluations. "Make the investment in Threads!" The team at Threads care about their customers. Really there is nothing I dislike what Threads. They will continue bringing on new clients so hope they continue hiring to support the growth! Employee disengagement. Has helped start the conversation with these employees and how they can improve. The lack of a mobile app, it would be nice to have one. Threads is customer-focused on continually works to meet our ever-changing needs. Their assistance behind the scenes is amazing and they are always open to feedback so they can work on new developments to the system. We have certain members of our employees that do not utilize a computer in their day-to-day responsibilities that poses some challenges for us but this is nothing on Threads' end. We can directly measure and hold our employees to our core value standards and provides instant feedback and recognition. Functionality, ease of use, good value for the cost. Being new to the system, some things are still confusing. Employee performance reviews, company document distribution. * We monitor all Threads Culture reviews to prevent fraudulent reviews and keep review quality high. We do not post reviews by company employees or direct competitors. Validated reviews require the user to submit a screenshot of the product containing their user ID, in order to verify a user is an actual user of the product.